The stories of a young couple chucking their corporate jobs to chase their dreams in a vineyard are awesome. Participating in those dreams at the business end of a bottle is awesome, too. But not all wine is made by starstruck lovers. Some of it - most of it, in fact - is made by very large companies in very large quantities. I'm equally impressed by both. The smaller concerns work their asses off to overcome great challenges to bring their wine to market. And the larger conglomerate wineries - the good ones anyway - keep quality high despite huge quantities, while keeping distributors, shareholders, and customers clamoring for more. There's little question where this winery falls, but I continue to be impressed with the character many of their bottlings possess. Look to these two for reliability and fair prices - and something beyond the textbook. The previous vintage of this wine impressed for the same reason this one does: unexpected distinction. 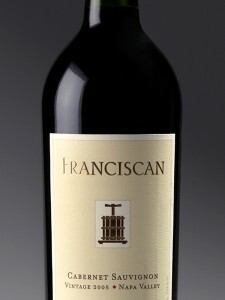 Generous flavor flows from this medium-bodied, round, and open textured gem. Slight grit on the palate imparts a lingering character. High-flying red fruit, complements of lightly toasted oak, and California sunshine are channelled in the glass. Crowd pleaser. Impressed. Time to start lingering over the Merlot section at your local retailer. After a hiccup in a previous vintage, we return to Old Dependable with this wine. Napa Cab character: right down the middle body, style, and oak. Don't share the accessibility many 08's from Napa enojoy, but it loosens up after a couple of hours in the decanter - after which it's the girl who dances with everyone at the wedding - Full-bodied, fun, and yet still classy.